Choose your Napier Wine Tour style from the selection below. Wine taste at the 3rd oldest Winery in New Zealand, today at the top of their game. Discover the world famous "Gimblett Gravels"
Taste Wines from a top boutiques producer on the Gimblett Gravels. 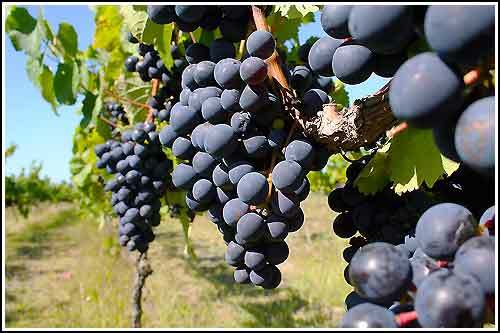 You will know by now that this Napier Wine Tour has been a Wine Tour we know you will remember for a very long time. The age to consume alcohol in New Zealand is 18 years with suitable I.D. All tastings, food matching, entrance fees, taxes and local pickups and a souvenir wine glass and a small souvenir all included. The tour starts with your free pick up within Napier and you then head out to the Gimblett Gravels. Taste Wines from one of the original boutique producers located on the Gimblett Gravels. 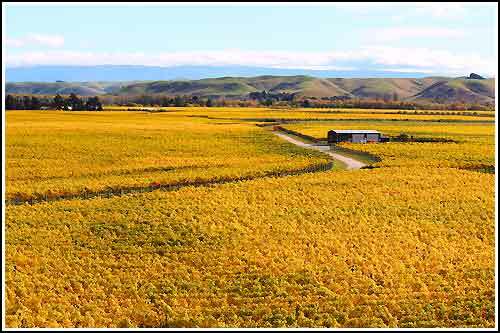 Taste Wines at a second small boutique Winery again located on the "Gimblett Gravels"
This Napier Wine Tour is designed to impress all on the day, certainly a tour to remember. 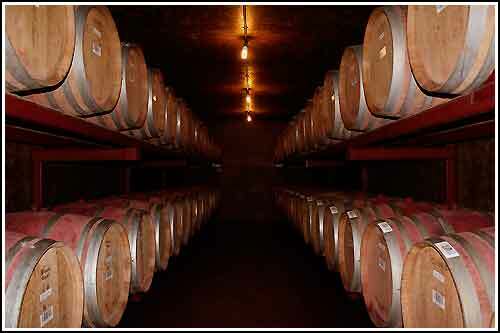 At each Winery, you will learn what makes a great Wine and why. Learn about the Wineries that you attend on the day and what makes them different from other Wineries throughout New Zealand. 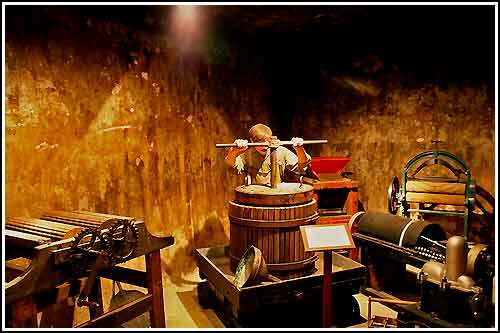 Taste at 4 very different Hawkes Bay Wineries, large to boutique, tour a working Winery and explore historic underground cellars and past fermentation tanks that today house New Zealand's only underground Winery Museum .. items date back 3000 + years. (fantastic). 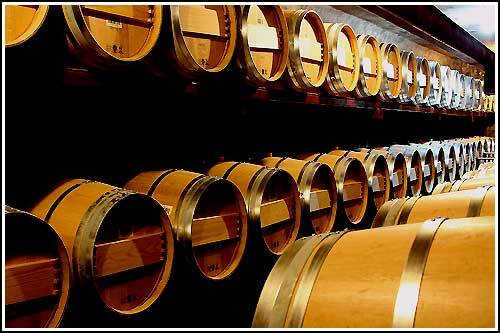 Arouse your Wine tasting senses, taste directly from French Oak Barrels, French Cuves and/or Tanks. Food and Wine match, enjoy a 2 course Winery Lunch with matched Wine followed by a Napier Art Deco and History Tour. 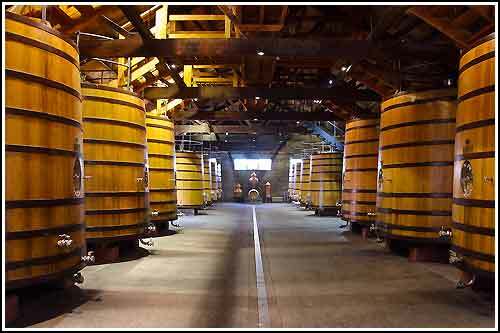 You will be collected and taken to a World famous Historic Winery. 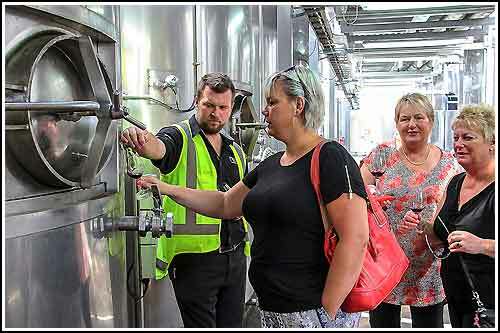 Shortly after your arrival, with a Wine Glass in hand, you will commence a tour of this working Winery and sample wine directly from the cellars whilst you gain a technical insight into the crafting of premium Hawkes Bay Wines. Your Wine and Wine Museum Tour concludes back at a fantastic Cellar with a tasting of four wines from their Premium range of wines and Grand Reserve range where each specially selected wine will be accompanied with a bite-sized food offerings, providing an insight into wine and food matching. 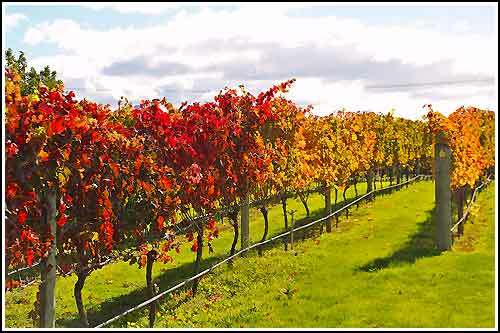 At the completion of the Winery Experience on the day, you will then be given a great overview of the City and suburbs. The Highlights Tour will include the local history and Art Deco before being returned to your accommodation or the City area. Enjoy a relaxing, informative City Tour. Discover the world famous Art Deco City and suburbs of Napier. Wine taste at New Zealand's Oldest Winery, The world famous Mission Estate. Enjoy the beautiful City gardens and so much more as you discover Napier. 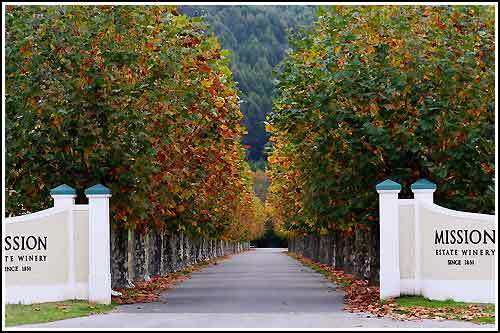 As part of this Napier Wine Tour and City, Art Deco Tour, you will drive through a lovingly kept 1930's - 1940's Housing Estate. See dozens of lovingly kept Art Deco homes as they were then, as they are today. Has time stood still ? This beautiful suburb is away from the central City and would normally not be discovered by the travelling public. 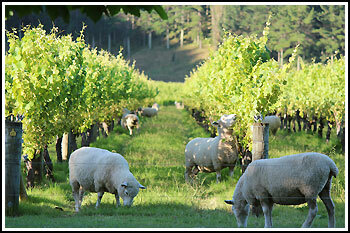 You will also visit this the oldest Winery in New Zealand. The Mission Estate Winery. This historic Winery has a lovely story from beginnings in France through to today. You will hear a story of hardship to be the great Winery it is today. 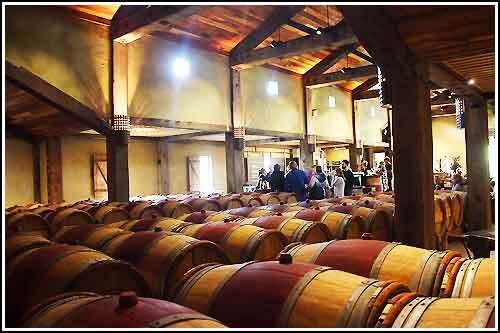 You will have many photo opportunities throughout the tour including at the Mission Estate Winery. Taste Wines from a top boutique producer on the Gimblett Gravels. 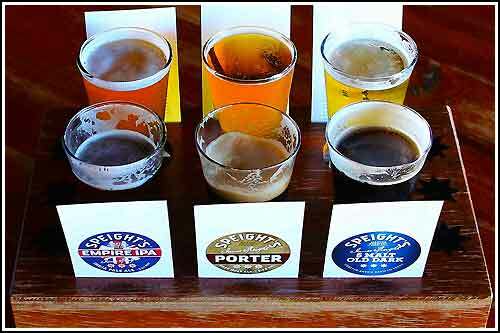 To finish your day you will relax at a local Ale House and enjoy 3 glasses of beers (drinks) each. 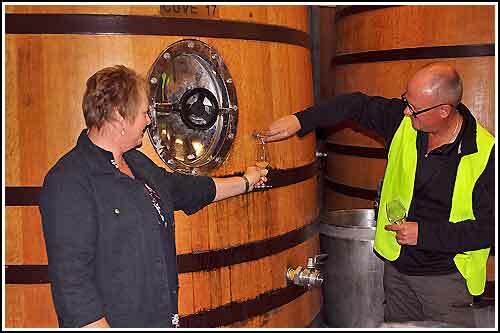 Are these tours listed as 'Napier Wine Tour, or the Wine & Beer Tour and now the Cider Tour', one of Napier's most popular .. ?? Our clients think so ! All tastings, 3 glasses of beer at the Ale House, Ciders at the Taproom, entrance fees, taxes, souvenir boxed wine glass (when available) and more including local pickups are included. Thank you for helping us to make the most of our short visit to Napier. It was great to get the geological, social history and introduction to the Hawkes Bay wines; yes we prefer the Bay's Sauvignon Blanc. Your pride for your city shone through. Once again, thank you. We had such a fun time touring Napier/Hawkes Bay with "our new best friend" Maggie. Interesting, friendly, always felt safe on the road. Thanks again for the time and the wine glasses! Thank you for helping us to make the most of our short visit to Napier. It was great to get the geological, social history and introduction to the Hawkes Bay wines; yes we prefer the Bay's Sauvignon Blanc. Your pride for your city shone through. Once again, thank you. We wanted to thank you both so much for making our stay in Napier, such a lovely experience. In particular we want to thank Maggie for the tour, she was brilliant. Maggie's in depth knowledge of the wine, history and the day to day life of Napier was both natural and engaging.